When Thales was invited out of Mindis Hall by Gilbert and Jines, both had solemn expressions on their faces, he had no idea what was occurring. "What happened?" For the first time in over twenty days, Thales stepped out of Mindis Hall's cedar wood door. Looking at the familiar dark-colored carriage, his face was filled with bewilderment. "Gilbert will explain it to you." Jines' unsmiling face made him nervous. She swung the whip in her hand and gracefully leaped onto the driver's seat. Her answer was short and simple. "What you need to do now is to get on the carriage immediately." With his mind in a muddled state, Thales turned his head back. The middle-aged n.o.ble produced a boarding stool out of nowhere and softly put it on the ground. "Please get in, young Sir. Madam Jines does not like sitting in the carriage. My apologies, you will have to bear sitting with an old man like me." Gilbert's effort in attempting to be humorous was a complete failure. Even the two horses could tell that he was gloomy with worry and deliberately avoided them. Filled with anxiety and fear, Thales stepped onto the boarding stool and then the carriage pedal. He turned his head back and glanced at Mindis Hall's guards, only to see that they showed no signs of leaving with him. As if they had sensed Thales' gaze, the swordsmen lowered their heads respectfully, with Chora in the lead. "They won't come with us… One carriage will give us more of a low profile," Gilbert stated flatly. Thales looked at the two people's incredibly grave faces and quelled the desire to get to the bottom of it. He only asked one question, "Will we… come back after we go to the palace?" Gilbert's voice was slightly grim. "It depends on His Majesty's will. Please pardon my rudeness, but we must hurry." Thales no longer said anything else. He sat in the carriage, and Gilbert, who entered right after him, closed the door lightly. The dark coach was still the same as around twenty days ago. The interior was still filled with those dark red couches, the gla.s.s adorned with Crystal Drops, the crest of the nine-pointed star decorating the walls of the carriage, and that faintly glimmering fluorescent paint. Jines' whip struck the horses lightly and rhythmically, but the speed of the carriage was much faster compared to the previous time Gilbert drove it. Of course, it was also a much b.u.mpier ride. As the carriage jerked around, Gilbert looked at Mindis Hall, under the moonlight, and slowly disappearing from the window, then he looked at Thales solemnly. "We are in a hurry, so I will choose what is important to tell you." Aside from the time when they spoke in the secret chamber, Thales had never seen Gilbert so serious before. This made him apprehensive. "Eckstedt Diplomat Group is scheduled to visit Constellation after New Year." The middle-aged n.o.ble looked at Thales seriously. Thales narrowed his eyes and tried his hardest to remember the history of the continents from twenty something days ago. Gilbert continued speaking seriously, "The Northern Territory has sent urgent news: Three days ago, Eckstedt Diplomat Group… has been completely wiped off when they were on the road in Central Hill, located to the south. There were no survivors." Thales widened his eyes in disbelief. Gilbert sighed. 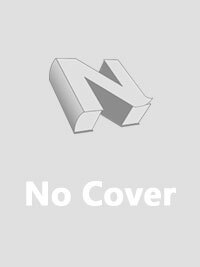 "The victims include six Eckstedt n.o.bles… and Prince Moriah Walton. He is the only son of Nuven the Seventh, who is the King of Eckstedt and also the archduke of Dragon Clouds City. Prince Moriah is the Walton Family heir and the next Archduke of Dragon Clouds City." The transmigrator sucked in a cold breath. ...was killed within Constellation's territory? "No one survived, including the n.o.bles of Constellation who accompanied them. There are no clues. The only thing they found were a string of words formed when the victims' blood was poured on the ground…"
Gilbert looked into Thales' eyes and, with worry on his face, he nodded lightly and said, "'The Empire shall last, so long as the stars remain'." "This method is clearly just a bad, childish way of transferring blame and causing strife between two countries…" Thales thought about the nature of this matter, and he suddenly realized something. With disbelief, he lifted his head and asked, "Is it truly effective?" "Unfortunately… It is effective and very bad," Gilbert answered in a low tone. 'Very bad?' Thales heart was filled with apprehension. The carriage charged into Twilight District, entered King's Street, and headed towards the Central Region. King's Street was one of the largest streets in Eternal Star City. The population there was only second to Central Region, which used its northern territory as a transport hub. King's Street had the Star Plaza where merchants from various countries set up shop, and a grand bazaar located to the side of Western City Gate, where the low-cla.s.s citizens gather. Compared to XC District and Western District, which still had their streets lit by torches and animal fat, the King's Street was lit with Everlasting Lamps that were just slightly inferior to the ones used in Eastern City District. More pedestrians gradually appeared, these people ranged from bards performing on the streets, to merchants shouting from their shops (some of the shops that still operated at night, such as boutiques and watch shops, were still open), to servants who were rus.h.i.+ng about on errands from their masters, to officials who were engaged in social activities, to even true n.o.bles, riding in carriages or even walking down the streets. There, their carriage was not in the slightest bit eye-catching. The King's Street was located right at the intersection between Twilight District and Central Region. The ratio of the wealthy and the distinguished there was incredibly high. Compared to the Star Plaza and the grand bazaar that Thales had seen before, this place was clearly more reserved and quiet. It lacked the loud noises and bustle of activity, along with the crude and vulgar atmosphere the latter possessed as a local market. However, even in this place, beggars in rags and homeless people were occasionally seen on both sides of the road stretching out their hands to pa.s.sers-by while moaning. Fortunately, the carriage had a one-way mirror, and those outside cannot notice the actions within the carriage. However, Thales' mind was on Gilbert's words at that moment. He only cast a quick glance at the sights in the streets. The Foreign Affairs Minister's words continued travelling into his ears. "The key lies in the 'Garrison Contract'. "At the end of the b.l.o.o.d.y Year, Eckstedt invaded our land. Broken Dragon Fortress fell into enemy hands. Then, from the Northern Territory, Land of Cliffs, Western Desert, to the Eastern Sea, most of Constellation was invaded by the flames of war. We had few soldiers, and our generals were weak. The Kingdom was almost losing all hope. His Majesty, who had just succeeded the throne, even thought about enlisting children below fourteen into the army." Gilbert exhaled a long breath. There was a dazed look in his eyes, as if he was thinking about the events in the past. "Based on the fear of all the other countries in the Western Peninsula and the attention by the Eastern Peninsula's Mane et Nox and Hanbol towards the affairs within the Western Peninsula, the Foreign Affairs Department mediated between countries with everything that we had to have other countries interfere in this matter. "In the end, we forced Eckstedt's soldiers to retreat the way they came. They signed the contract, and Eckstedt was even forced to relinquish a barren piece of land they occupied before the b.l.o.o.d.y Year, which belonged to Constellation in the past. "I was the signatory for the 'Garrison Contract', I would know this like the back of my hand." Thales' eyes brightened up. "We lost the war, but won the negotiations?" Gilbert nodded, but there was not a hint of relaxation on his face. "This is the horrible part—instead of saying that this is an agreement, it would be more accurate to say that it is a record of humiliation." The carriage moved forward a little more. A number of beggars appeared on the road. Some of them even stretched out their hands towards Jines, who was driving the carriage, but the female official wore a cold expression on her face and ignored all of them. She struck the horses with her whip even faster. "Many of the suzerains, especially the archdukes in the south and who shared borders with Constellation, were furious, to the point where the 'Contract' had even shaken King Nuven's rule. "During these ten years, the Great Dragon's relations.h.i.+p with Constellation had always been chilly. And now, with Northern Territory discovering a large Crystal Drop mine and Eastern Sea having deep sea whales that contain a lot of oil…"
"Eckstedt's suzerains, or at least the three archdukes that share their borders with us, have always been eager for battle… They long for the large ma.s.s of land, resources, and riches that had been within hand's reach twelve years ago but in the end, were a missed opportunity." Gilbert shook his head and looked out the window. Grief appeared in his eyes. "That's why the Eckstedt Diplomat Group visited our country. They're determined to restructure the 'Garrison Contract' and rebuild the borders of the two countries. "Yet now, before the diplomat group reached Eternal Star City, they were killed midway… Can you imagine the situation that will occur in Eckstedt when the news returns to them?" The carriage ran over a b.u.mpy road, and the entire coach jerked. Thales frowned. "You think that Eckstedt's suzerains plotted this disaster? Just so that... they can incite war and s.n.a.t.c.h our land and our resources?" Gilbert lifted his head. At that moment, his gaze was incredibly terrifying, and the former Foreign Affairs Minister stated coldly, "It's worse than that, Eckstedt's king selection system is where the great suzerains will vote and choose a king… Over the past several decades, the Walton Family has sat on the throne for two full generations… and Nuven the Seventh is definitely not some beauty that everyone loves." Thales spoke with sudden realization, "So this is some of Eckstedt's suzerains' uniform desire to search for resources beyond their country and change their king?" Gilbert took special care to guide the kingdom's only Jadestar Family kin and said lightly, "You're close, my young Sir. You just need to take one step further in your thoughts. Just one step further. During this period of time where the matter of the diplomat group being a.s.sa.s.sinated will cause an impact, the pressure of this matter will fall entirely on King Kessel's shoulders. No matter what decision we make, what sort of answer we give, whether we should fight or form an armistice, what method we would use to approach this matter, whether we should be aggressive or gentle, whether we should preserve our glory and be humiliated, everything will be on His Majesty's shoulders… Right from the start, all the n.o.bles in Constellation will fix their gazes on Renaissance Palace." "Are you saying that…?" Thales asked in a puzzled tone. No matter how much intelligence he possessed, he was not well-versed in the n.o.bles' rules, he did not understand the significance of this matter. During that instant, Gilbert's eyes suddenly turned complicated and profound, causing Thales to be unable to decipher them. "First of all, conducting this matter might be complicated, but it does not matter whether we fight or choose to form an armistice, His Majesty will not be able to escape from being criticized as a cold-hearted and ruthless king who disregards his people, oppresses the weak, and embarra.s.ses Constellation. This will greatly impact His Majesty and Jadestar Family's reputation and influence in the kingdom." Thales' pupils contracted. He can finally begin to understand the meaning behind why the situation was worse. "Next, if he wants to handle this great matter, then His Majesty will need power that surpa.s.ses what is possessed in the territories directly under the royal family's name, be it in terms of military mobilization or national decisions. This means that… His Majesty must obtain the full support of all the suzerains, especially from the Six Great Clans and the thirteen Distinguished Families—this will definitely come at a price!" "As such, there are pros and cons to battle. Not only will it bring about danger, it will also cause Constellation's influence of power to change… Once they go through the baptism of battle, the weak will be cast off, the old will lose their positions, the strong will live, and the living will become even stronger… Some of the suzerains will have death on their heads, and the other half will have new lives." Under Gilbert's brightly burning eyes, Thales sat in the carriage with a dumbfounded expression as he felt the jerks and lurches of the carriage. "Lastly, there are no children within the royal family. It has been twelve years since Constellation is without an heir." Gilbert's voice suddenly rose, "What danger lurking on the country's doorstep could possibly force His Majesty to select an heir ahead of time so that he could have a backup plan for the country due to possible war? In fact, what if a family with great reputation does an act that complies with public trust and gathers the support from small n.o.ble families? Who knows whether they would become the next Jadestar and the next royal family?" Thales looked outside the window with glazed eyes. He understood what Gilbert meant. However, he had been shocked by the frightening truth that had required him exercise his mind vigorously for, he could not get over it even after a long time. After some time, Thales hoa.r.s.ely spoke, "So, this isn't just Eckstedt's one-sided desire to fight and change their king. It is also the desire of many people in Constellation—to get rid of the royal family." "Is that right." The last few words Thales uttered were a statement. Gilbert looked at his condition worriedly. In his hesitation, he blinked, but he still said, "With the royal family's current situation, your existence and subsequent appearance to the public will make you a target whether it is in national or international terms—both represented by the suzerains in the country or Eckstedt, respectively. For the sake of your safety, I will suggest to His Majesty to postpone acknowledging your—"
"Is it worth it?" Thales did not bother with Gilbert's words. He spoke softly as he interrupted the middle-aged n.o.ble. Thales asked powerlessly, "Just what sort of person would look forward so eagerly for war to come? This isn't some game of chess where we take each other's pieces and count our points by how many pieces we take." Thales closed his eyes slowly and clenched his fists. "This is a war. There are living, breathing humans on both sides. They're standing right before each other, and they're taking each other's lives lawfully until one side completely dies… It's war. "They've gone through the catastrophe that is the b.l.o.o.d.y Year, why are people still eager for war? Just for a crown? To enjoy the feeling of having influence and power in your hands in a broken and decaying kingdom, in an infertile land with starving people, and among extremely numbed people? And then they will rule for twenty something years in great difficulty, bleakness, trepidation, and paranoia, before they forcefully pa.s.s this misfortune to their descendants? Gilbert wanted to answer, but he found himself at a loss for words for a time. Thales shook his head in low spirits as he did not obtain his answer. However, this might be what history was—the history of human actions. The coach fell into another round of silence. The carriage left the bustling King's Street. More beggars appeared outside the carriage. Jines was forced to use the whip to scare them off. Gilbert looked at his student with a worried expression and said softly, "This is not war. This is politics. We are all gamblers with 'winning power' as the goals in mind. Land and people are simply bargaining chips that we can use in the exchange. Winning and losing is simply the transfer of bargaining chips. "This is the game between n.o.bles and countries." Thales lifted his gaze and giggled helplessly. "Yes, war is the continuation of politics—a Game of Thrones, a feast for the crows." 'But I don't like this.' Thales thought to himself in a quiet murmur. The transmigrator s.h.i.+fted his peripheral vision to the view outside the carriage window. There, a beggar with a distressed look extended a hand, feeling the wheel axle. As the carriage pa.s.sed a brightly burning Everlasting Lamp, Thales' eyes gained focus, and he instantly saw that beggar's hand clearly. The pair of hands were rough and riddled with calluses. But the calluses were not evenly distributed in the areas that he was used to seeing in the laborers or beggars' hands—which were at the areas where they usually used their palms to touch or carry heavy items. Instead, they were concentrated on the thumb and index finger, as well as near where the former and latter fingers connected. The cogwheels in Thales' brain began turning. He had seen the same unique calluses on someone else's hands before. He could only hear Thales' quiet voice say, "Something's wrong, these are not beggars." The transmigrator sucked in a deep breath. Yodel's hoa.r.s.e voice traveled faintly through the air and completed his sentence. "...a.s.sa.s.sins." 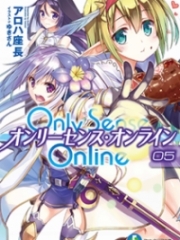 You're Read Kingdom's Bloodline Chapter 51 online at BestLightNovel.com. You can use the follow function to bookmark your favorite novel ( Only for registered users ). If you find any errors ( can't read,broken links, can't load photos, etc.. ), Please let us know so we can fix it as soon as possible. And when you start a conversation or debate about a certain topic with other people, please do not offend them just because you don't like their opinions. You're reading Kingdom's Bloodline. This manga has been translated by Updating. 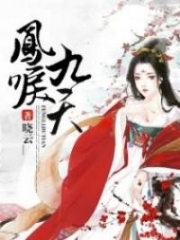 Author(s): No Man's Sword, 无主之剑. Already has 398 views. Current Time is 20-Apr-2019 02:47:56 AM.